In the mobile studio now... getting us through the doldrums. 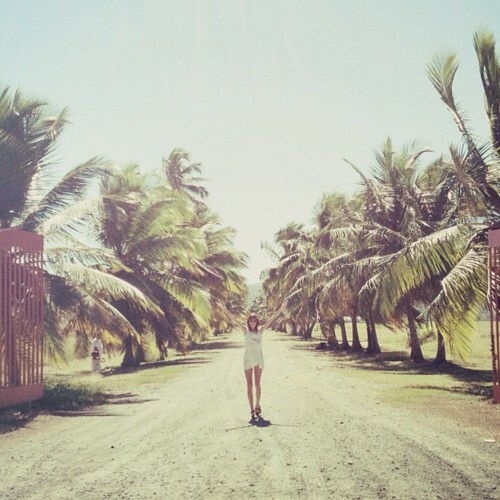 sweet sound // 17 from SweetThing on 8tracks Radio. maybe because we live in a tropical place, maybe because we feel this music brings sunshine with us wherever we go, but tropicalia has made its way into our music rotation and it is here to stay. so open the windows, turn on the fans, and mix yourself a drink. Saudade from hoeyjeinen on 8tracks Radio. if you would like to read further about the Tropicalia movement here is a piece from Hype Hype Hooray is a biweekly “critique” of the music scene and the blogosphere that feeds it, told through the lens of Jamie Hale, a journalist who likes music about as much as he likes scotch and a firm leather chair. Please enjoy with a grain of salt. welcome to the space within our studio walls. since we spend so much time here we wanted to share the sounds, visions, and inspirations that fill our days with beauty.